S&R Associates partner of 13 years, Uday Walia, has resigned and is due to join Platinum Partners in Delhi, we understand from reliable sources. 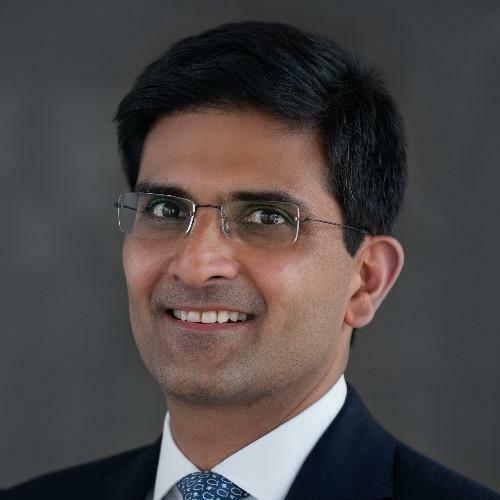 Walia had been at S&R since 2006, one year after the firm was founded in 2005, and specialises in corporate, M&A, private equity work and some capital markets and banking work. The 1994 St Stephen’s College chemistry graduate completed his BA in law from Cambridge University in 1997, followed by an LLM there. Walia then began his professional career at magic circle firm Freshfields in 1998, where he stayed for six years before returning to India. Update 04 April 2019: He will be joined at Platinum by two associates in his team, Natasha Aggarwal and Punya Varma. Both NLU Delhi 2015 graduates, with Aggarwal having started her career at S&R, while Varma had begun his career with a training contract in London at Linklaters. The last (and first) time S&R had lost a partner was in 2016, when Trilegal snagged S&R partner Bhakta Patnaik as its capital markets head. S&R had hired its first lateral partners in 2017, absorbing A&M Law Offices co-founders Sanjeev Adlakha and Viral Mehta. Post Walia’s exit, S&R will have 13 partners nationally. We have reached out to Walia and managing partner Sandip Bhagat for comment. We have also reached out to Platinum for comment. So a law firm has lost two partners in 14 years. Why is that even news? Two associates are leaving with him!! Uday has been instrumental in taking S&R to greater heights. Good luck to him on his next journey at Platinum Partners! So before the bhakts and the anti bhakts get in on this, here are my two bits: Uday, is indeed an excellent lawyer, great friend and mentor to all who have worked with him and will without any doubt be missed by all at S&R. Finding a replacement for someone with such diverse practice experience for S&R will be a challenge. It seems he is reviving his Freshfields roots with the move to Platinum who have been struggling to get someone with market recognition since Nihar's exit and Uday is a great catch for them. For S&R, it's not the first partner exit and as they grow and insituionalize, there will be more in the years ahead. What S&R has done an excellent job of is maintaining it's reputation for high quality work as it has grown from a small boutique to a mid size firm doing some of the biggest transactions, can it continue the same way as it marches to above 100 lawyers will be what may determine it's future. Time for Sanjeev, Mohit and Tanya to step-in. Uday was at JSA before he joined S&R. Please clarify! How does it make any difference? This will be a great synergy considering even Karam is having a similar background being a Cambridge and Freshfield alumni!! Wonderful and this will get Platinum to scale further heights. Uday leaving is definitely a sad and momentous day for S&R. He's been a pillar of strength for the Firm. Perhaps one of very few who could voice their impartial opinion to the founders. His voice being lost will definitely hurt the Firm. He must be leaving for good reasons. Perhaps it's time for S and R to reflect upon why they have lost such a long and loyal friend. All the best to Uday on his new ventures and to S&R to life without one of its pillars of strength. Natasha Aggarwal and Punya Verma are moving to Platinum Partners with Uday Walia. Uday is fantastic and he will be missed at S&R! @Kian - it should be Uday, or Mr. Walia. Thanks. Don't recall anyone calling you Ganz on this forum. In my humble opinion, using first names in journalistic is indefensible, unless you're writing about Bollywood celebs. Using surnames, without titles, is our house style, which is similar to that followed by a number of international newspapers and magazines. How much does s and r pays? Is the work life balance better than Tier 1? It pays twice of other tier 1 firms and makes Associates work four times other tier 1 firm. Er. Punya's a guy. You might want to correct "begun her career...". Thanks and apologies, now corrected. Patnaik leaving didn’t make any difference to this Firm ; neither will Walias! In terms of business, perhaps, maybe. Culturally- this development will leave a major dent. His presence made the Delhi office a more tolerable and humane place to be. As an insider, this is like August 15th 1947 for S&R - the British have finally left! If that's the format you write date and year, you're anything but an insider. Kian, why do you not report joinings and exits from Luthra promptly. In last 10-15 days they have seen at least one partner joining and at least one partner leaving. We all know of your differences with Luthra and with Billi jaisi aakhon wala ladka, but as far as news reporting goes, you should be consistent and report about all firms. I am sure you will find people who can confirm news. S&R have lost their best partner. I’m sure Uday, along with Natasha and Punya, will be instrumental in taking Platinum to its apogee. Godspeed! Uday's departure is indeed a great loss for S&R. But like a previous commentator said, this is bound to happen as S&R grows and more more associates make partners and existing partners look for greater opportunities to grow. The firm however is still up there in terms of its work product and has the most amazing of a managing partner - one who is much loved and respected by the associates. Just for the record, Sandip Bhagat, is not, and never was, the managing partner of S&R. That firm never had such an concept. In case you missed it, the 'S' of S&R is for Sandip. That would be named partner, not managing partner? He may not officially carry the tag of a managing partner but anyone familiar with the workings of the firm is aware that barring major policy decisions decided by the partners as a collective, he takes all the decisions as far as Mumbai is concerned (and when he is not around Rajat Sethi does) and Neeti does it at the Delhi office. Her name is Niti, not Neeti. How familiar are you with the workings of the firm, then? Yes, spelt her name wrong. My bad. Doesn't mean what is said is not true.